The First Disposable CPAP System with built-in Safety Features for Less. 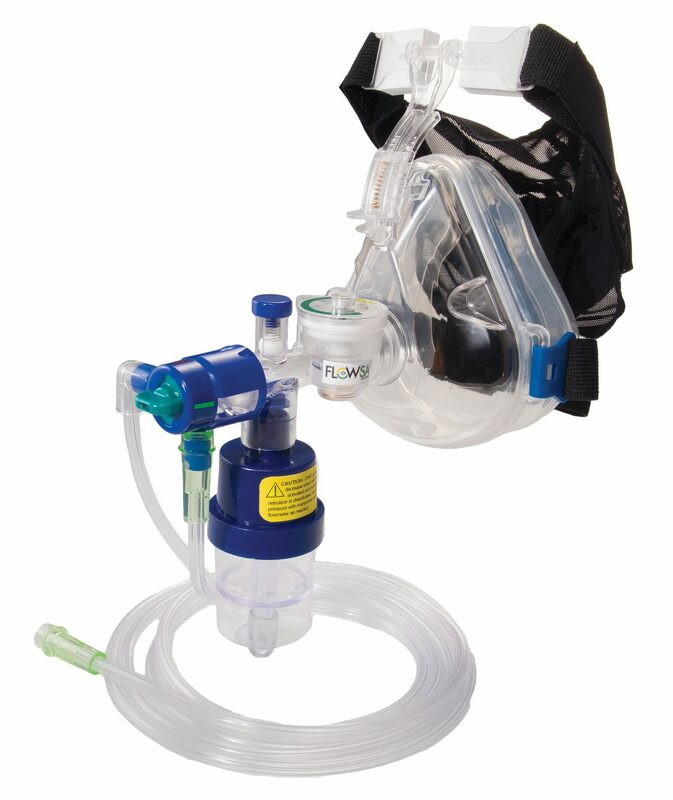 The first disposable CPAP System for Acute Pulmonary Edema with built-in Manometer and Pressure Relief Valve. 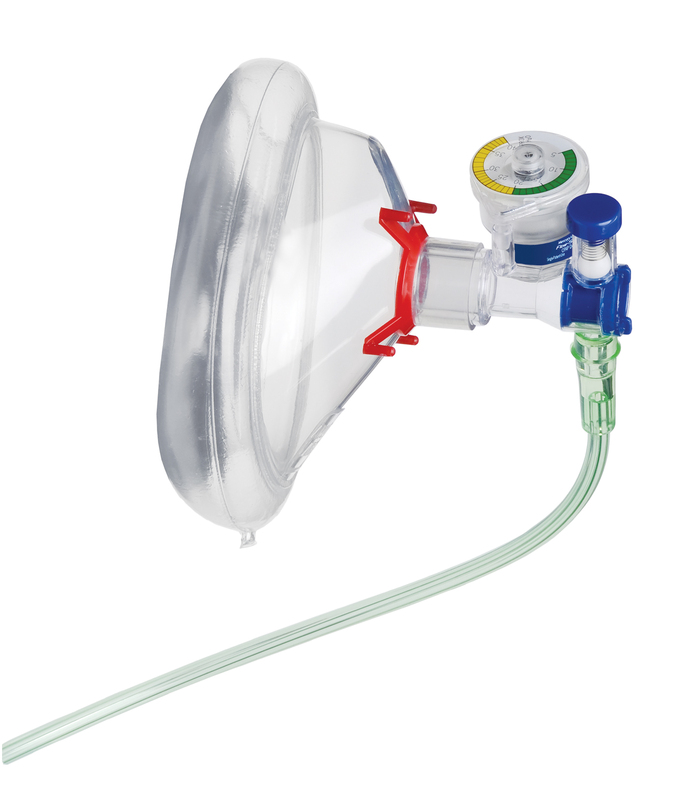 Highly Portable, Less Oxygen Consumption, Easy Set-Up, Colour-Coded for Easy Size Identification, Clinicians Can Add a Nebulizer, Allows Suctioning Without Removing the Mask. 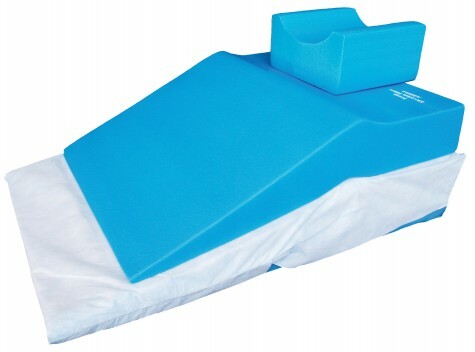 Cushion Mask with Blue Neoprene Head strap. 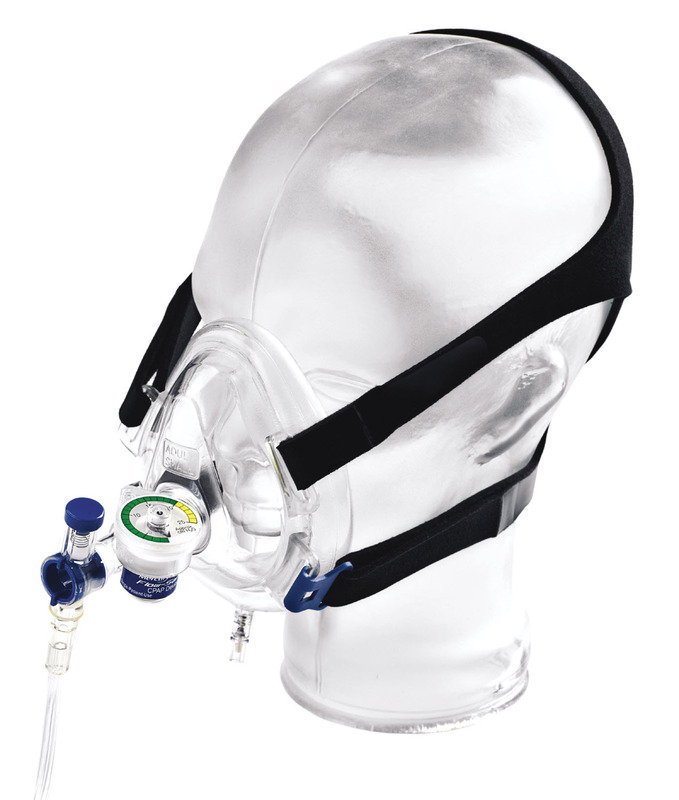 The original cushion mask with blue head strap is available when cost is a consideration. The cushion mask contains a colour-coded hook ring for attaching the blue neoprene head strap. 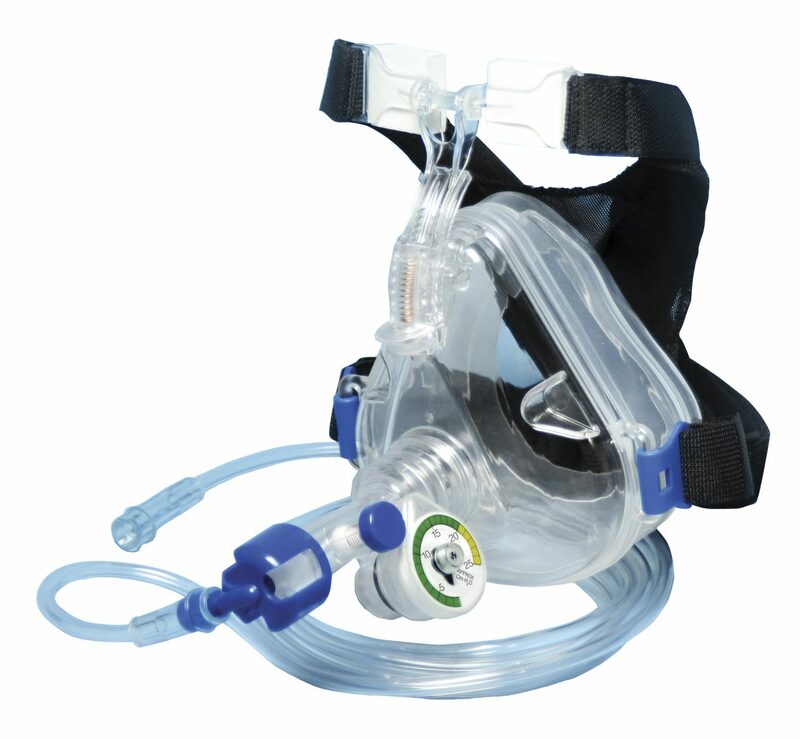 If the patient requires medication after CPAP therapy has begun, they can detach the blue head strap to access the oral cavity and re-attach the straps to the hook rings to continue CPAP.